Opened in 2003 and supported by our excellent team of Pilates Instructors, our Pilates Studio has a variety of reformer equipment. It is an ideal choice for anyone looking for Private Pilates Classes: 1-2-1, 1-2-2, or 1-2-3 – and Clinical Pilates, in the Putney and South West London area. Our newly refurbished Pilates studio in Putney (SW15) offers a welcoming environment for those that love Pilates and want to get more from their Pilates sessions. 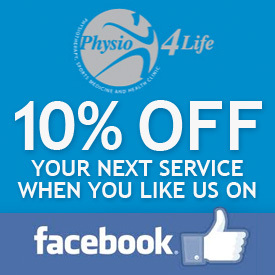 Also anyone looking to discover Pilates will benefit from the wealth of experience that our instructors offer. We have invested in the latest Pilates equipment and our award winning instructors are here to help you every step of the way. Out and away from the hustle and bustle of city life – Pilates4Life takes your Pilates classes into a new dimension. Our exciting pilates classes are more than enough to meet the demands of anyone in London. 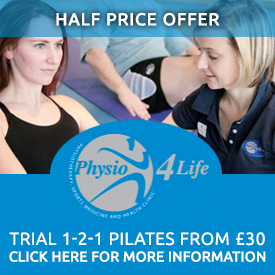 Physio 4 Life in Putney provide Private Pilates Sessions: 1-2-1, 1-2-2, and 1-2-3 – as well as Clinical Pilates at our Pilates Studio in Putney, London SW15.